I live in Vail Valley, Colorado. It’s a very special gastronomic community filled with creative chefs and talented sommeliers. 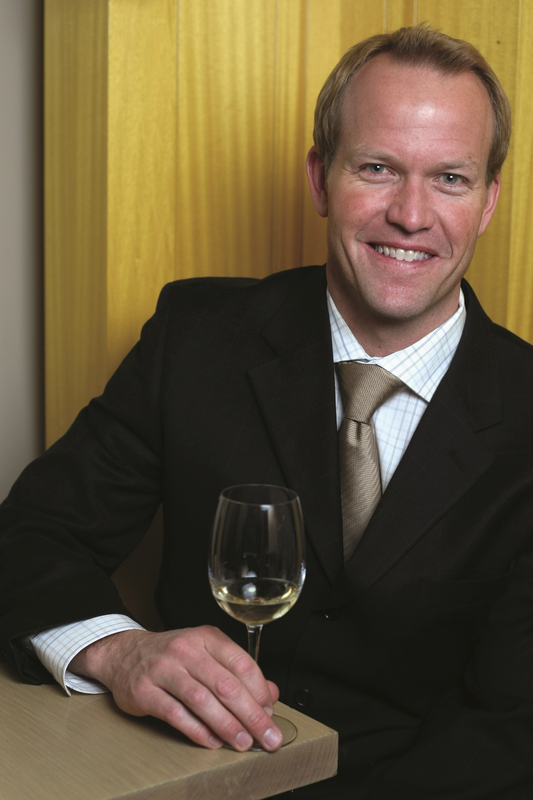 We are blessed to count Master Sommelier Sean Razee, Vail Resorts‘ Mountain Dining Beverage Director, among the oenological dwellers of our valley. That means whenever I am in need of oenological wisdom, Sean is my “go-to” professional. Needless to say, his tireless support of local charities in planning and executing their fundraising dinners is a delight to witness. While writing a chapter in my book “A Labor of Love: Wine Women of Piemonte,” I got I stuck on a question regarding the differences between California Cabernet Blends and Barolo. My ability to explain the differences leads me, an attorney, to paraphrase Supreme Court Justice Potter Stewart’s famous line, “I know it when I see and taste it.” So who better to turn to than Sean for a more detailed explanation? No one in my universe is better at mastering differences between these two wines. What I got was a 455 word education. And this is one education I definitely wanted to share. Sean graciously agreed to allow me to guest post his response to my question. I hope you enjoy the primer. I certainly did! Immense differences exist between California Cabernet Blend and Barolo. These differences are apparent in the color, flavor profile and structure of the wines. 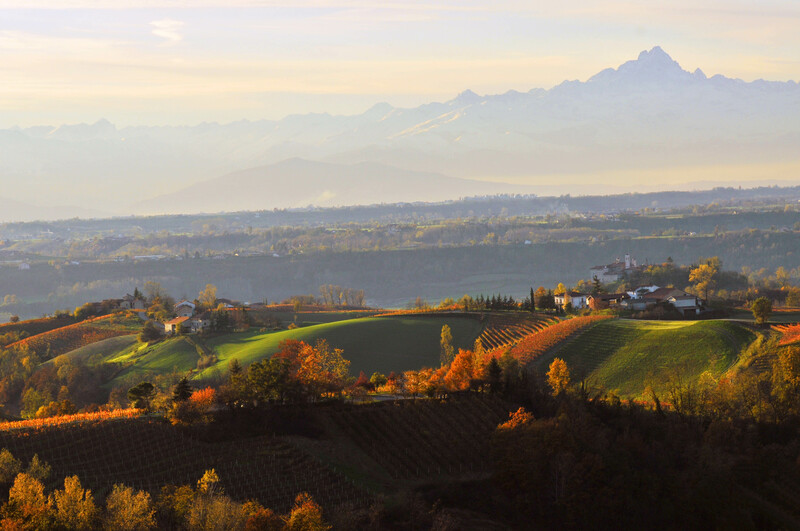 Some differences are due to climate differences between California’s Napa Valley and the northwest Italian region of Piemonte (specifically the Langhe). Differences in vinification also make the wines distinct from one another. I would describe a California Cabernet Blend (in youth) as a deep ruby color with black fruits (currant, plum, cherry). There should be a whiff of green herbs (tobacco, mint) with dark chocolate and coffee. 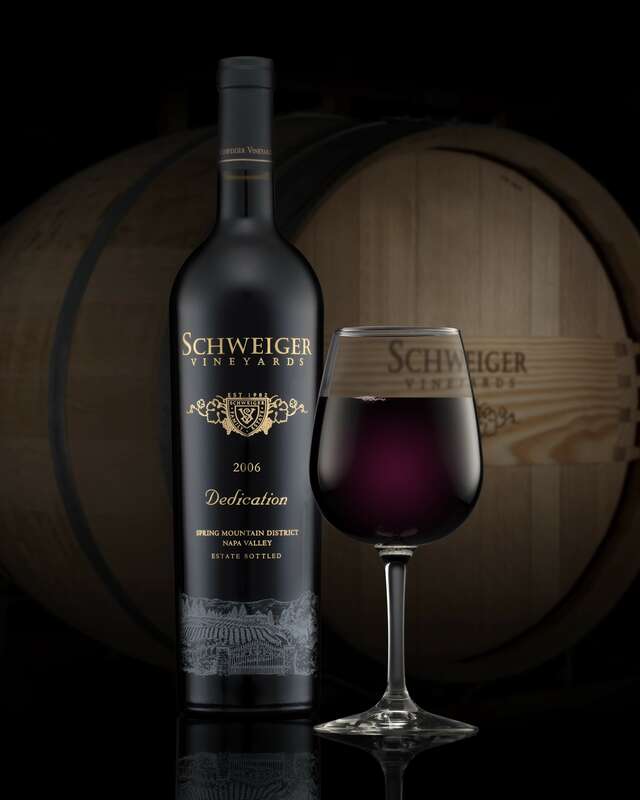 The oak on the wine is prominent, displaying new French oak barrels (smoke, toast, vanilla, baking spices). Earthiness is not prominent. The structure of the wine is medium-plus to high tannin (silky) medium to medium-plus acidity, with medium-plus to high alcohol. Cabernet is a thick-skinned grape of high color pigmentation. The vinification methods used in production extract large amounts of tannin from the skins. A fruity and a silky, smooth palate dominates the wine. The tannin in a California Cabernet Blend tends to be “fully ripe” which gives the wine’s tannin a silky feeling on the palate. For Barolo (made from 100% Nebbiolo), the color is more garnet to light ruby with red fruits as opposed to black fruits (cherry, raspberry, pomegranate). The fruits are sometimes both ripe and dried (with some age). There can sometimes be notes of spice, anise, tar, leather, and balsamic. Notes of volatile acidity are common giving the wines a lifted, perfumey aroma. Some producers are using some new French barrels, adding the corresponding flavor profile of those barrels. However, the traditional production methods do not lend oak to the flavor profile. Unlike a California Cabernet Blend, a Barolo might be bone dry, with high tannin, high acidity and medium-plus to high alcohol. Nebbiolo is a thin-skinned grape with light color that contradicts the wine’s weight and aggressive tannin. It is highly aromatic and driven by non-fruit characters. Unlike the tannin in a California Cabernet Blend that possesses silkiness virtually upon release, the tannin in Barolo may need years to soften. This is historically why Barolo was required by law to age for many years before release. 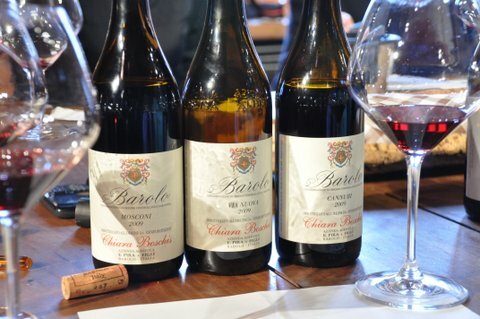 With today’s viticultural and vinification techniques though, this has changed a bit and Barolo is becoming much more approachable in its youth. This last part of my Nebbiolo description (underlined) leads to why many people who like new world, California Cabernets do not like Barolo. For a person that wants a “smooth” wine, with high color, high extraction, high fruit content, high alcohol, silky tannins and some sweetness to the wine, Barolo is almost the antithesis of this model. 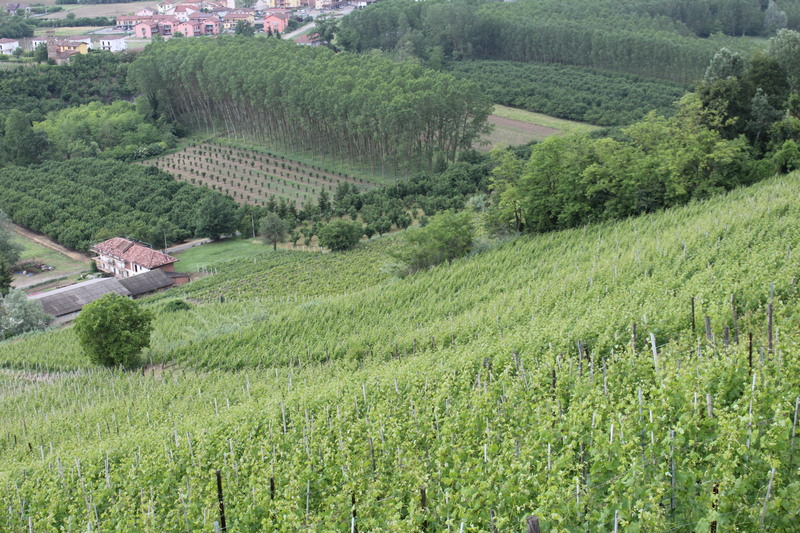 Barolo is light colored, highly aromatic, is non-fruit driven, and has an aggressive tannin and acid profile. Today, across wine regions of Europe, wine families are under the crushing weight of over-regulation. Big Brother is an unwanted participant in the wine industry, particularly in Italy. 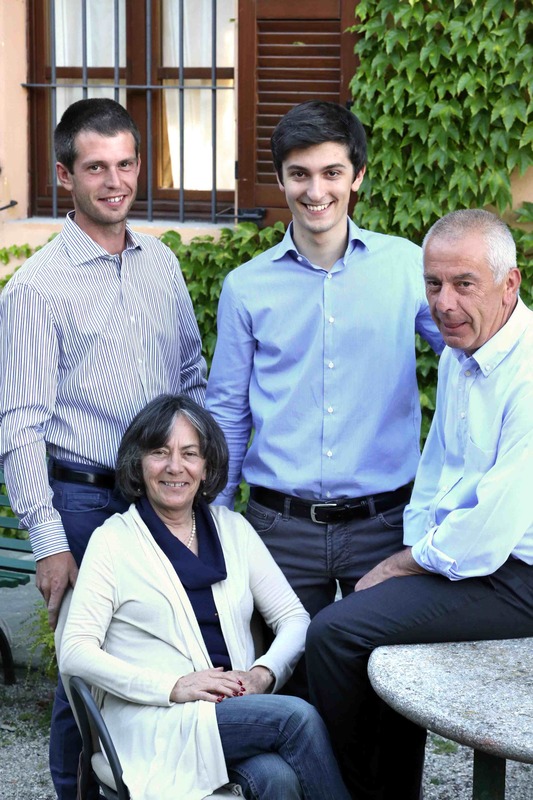 Unlike large wineries that can afford the high cost of labor and hire dedicated administrative staff, small to medium size family-owned wineries struggle to tend to their vineyards, make wine and comply with the albatross of regulations from the European Union and Italy bureaucracy. Oh, did I mention trying also to raise a family and have a life? It doesn’t matter if regulators arrive in the midst of time-critical work in the vineyards or cellars. Nothing takes priority over the controllers. Although like Mother Nature the government requires immediate attention, the latter can be quite unreasonable if its needs are not met. Labor is extremely expensive in Italy. Family owned wineries and restaurants have been forced to reduce staff. Volunteer labor – once part of the cultural beauty of the Italian harvest – is strictly forbidden. If you happen to be in Piemonte during the harvest and see helicopters flying overhead, it’s not National Geographic taking photos, but the government’s labor controllers. They compare the work sheets of farmers with aerial photos. If the numbers in the latter are greater than the numbers reported, crushing fines are imposed on the farmers. The result? Wine family members must be able to attend to all demands of the winery both internally and externally. And I haven’t even mentioned the market demands they must tend to in order to sell their wines. I have to wonder how an industry that has been around since before the Romans could survive without governmental regulations. But it did. With no sign of a halt to the expansion of European Union and Italian government regulations, let’s hope the industry – particularly the artisanal family wineries – can survive the suffocating weight of bureaucracy. I began my journey to write “A Labor of Love: Wine Family Women of Piemonte” when I discovered riveting stories about the courageous women of Piemonte. The first stories I heard were about Beatrice Rizzolio, grandmother of Giovanna Rizzolio of Cascina delle Rose. The courageous, brilliant woman is memorialized as a “savior” at Yad Vashem. Her designation as one of the Righteous Among the Nations came in 1975 in Rome for recognition of her courage in saving Jews during the Nazi occupation of Piemonte after the Italian armistice with the Allies on September 8, 1943. Much is known about the courageous acts of women who fought as women partisans against the Nazis and fascisti. But what of the simple farmers who risked their lives and possessions to give aid and succor to the partisans? Little is known about them except for the stories families tell to each other and, occasionally, to an outsider like me. One story of a courageous couple – Leone and Cornelia (Elia) Cigliuti – came to me through their granddaughter Claudia Cigliuti. 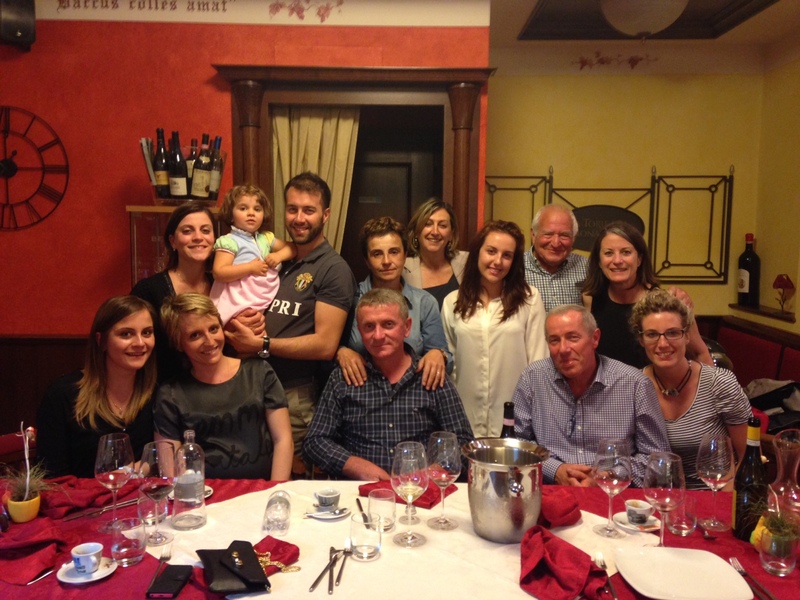 The winemaking Cigliuti family has lived for centuries on the Bricco di Neive. The bucolic vineyard-carpeted hill was once a hotspot of Autonomi partisan activity during the Nazi occupation between September 1943 and the end of the war in May 1945. Sympathetic to the partisans, many farming families provided the partisans with shelter and food. This placed them in grave danger. Retribution for adding partisans was swift and brutal. But the courageous Piemontesi defied the occupiers and women like Elia Cigliuti were important civilian soldiers through their resistance. One could say Elia owed her life to chickens. One day when Elia was outside her house, she saw a group of men walking up the road next to the family’s home. Knowing Fascist soldiers were nearby and thinking the men were partisans, she waved her arms and began to shout, “Go away! Go away!” Sadly, they were not partisans. The Fascists ran to her, threatening her life as they demanded to know who she was trying to warn. With guns aimed at her and her life in the balance, the quick-thinking Elia pointed to the chickens in the vineyard. “I was shooing away the chickens so they wouldn’t eat the grapes!” she insisted. It wasn’t an easy sell. Eventually, Elia convinced the gun-wielding soldiers the chickens were to blame for her shouting and nothing more. Truth is, chickens are just fine in vineyards and are considered valuable “vineyard workers” since they aerate the soil, eat insects and leave behind nitrogen rich “fertilizer.” Thanks, however, to the Cigliutis’ chickens that were in the right place at the right time, and to a lack of viticultural knowledge amongst the menacing fascists, Elia lived. Not doubt stories like this abound. Unfortunately, they will fade from history unless shared. 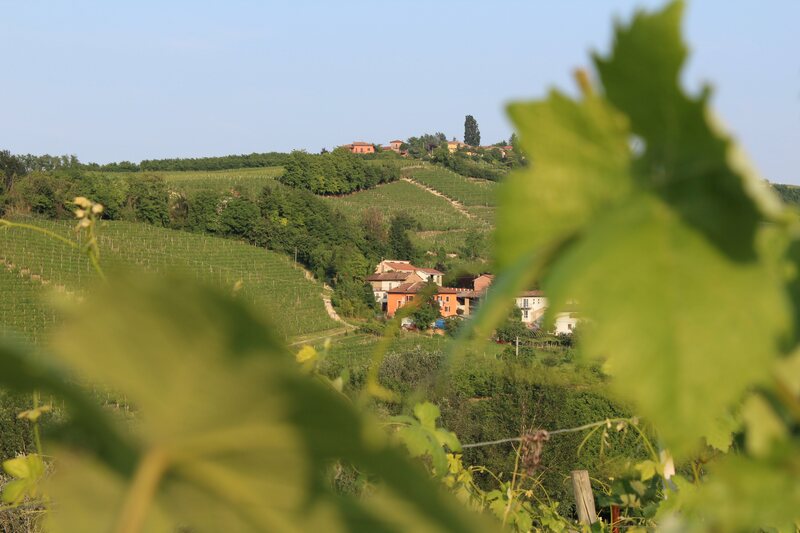 Hopefully, more wine families of the Langhe and Roero where partisan activity was fierce will commit to paper the stories of their ancestors’ aid for the cause of liberty. 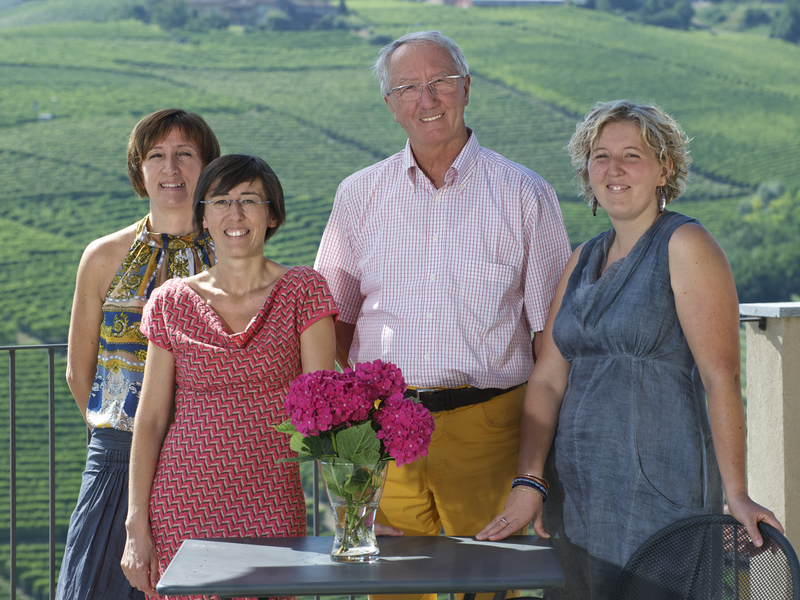 Want to know more about Piemonte’s wine family women? Subscribe to my blog and stay up to date on the early summer 2016 release of my book “A Labor of Love: Wine Family Women of Piemonte” and follow me on Wine Families of the World on Facebook.